Alice Waters is famous for her restaurants in the Bay Area of California, particularly Chez Panisse in Berkeley. Chez Panisse opened its doors on August 28, 1971. 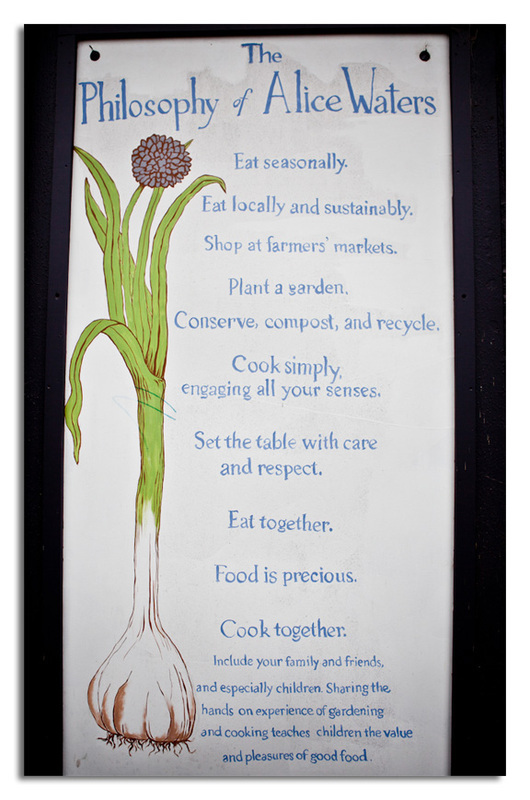 Despite being on the list of the best restaurants world-wide, Alice Waters told NPR in 2011 that she wanted Chez Panisse to be “an easygoing, unaffected gathering place.” Chez Panisse’s cuisine has always been guided by Alice’s quest for ingredients that are organically and locally grown, and ecologically harvested by people mindful of future generations. On their website, Chez Panisse invites diners to experience the thrill and intimacy of “vegetables just out of the garden, fruit right off the branch, and fish straight out of the sea.” This gathering place for friends to share healthy, delicious meals and exciting conversation was reminiscent of Kelly’s kitchen. Kelly was a talented and passionate cook. At her memorial service many friends spoke of her incredible dinner parties. One friend said his best times were spent in Kelly’s kitchen filled with close friends, Kelly instructing all on how to help. The days were spent preparing the meal and the evenings enjoying the fabulous food and each other’s company.